The Heirloom Toy Box is a modern design built with timeless craftsmanship. This piece was originally made for a client in San Francisco to hold children’s treasures. It can, in fact, hold anything that fits. 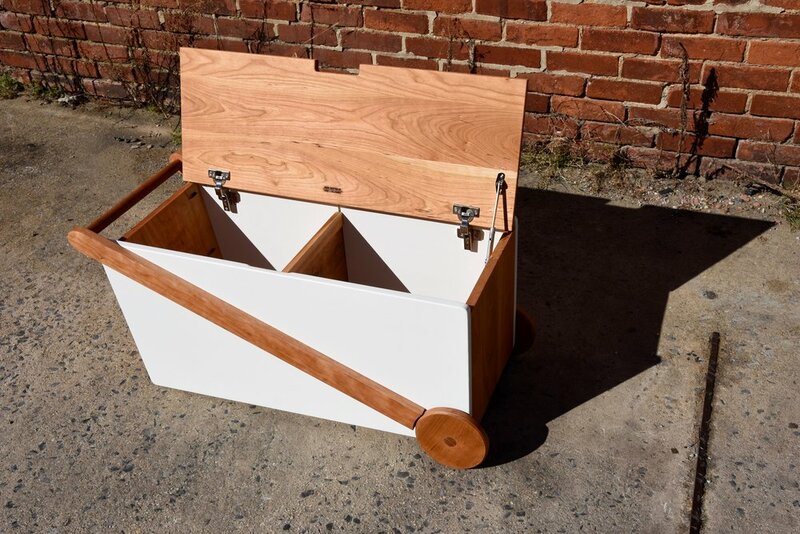 The Heirloom Toy Box is shown here in natural cherry and painted maple, with a with a slow-close lid and functioning wheels. The interior divider panel is removable. Dimensions: 15 W x 36 L x 16 H. This piece can be made with custom dimensions.